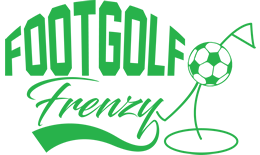 Whether you’re holidaying in the area, or a Cornish local, the Newquay Football Golf course shouldn’t be missed. 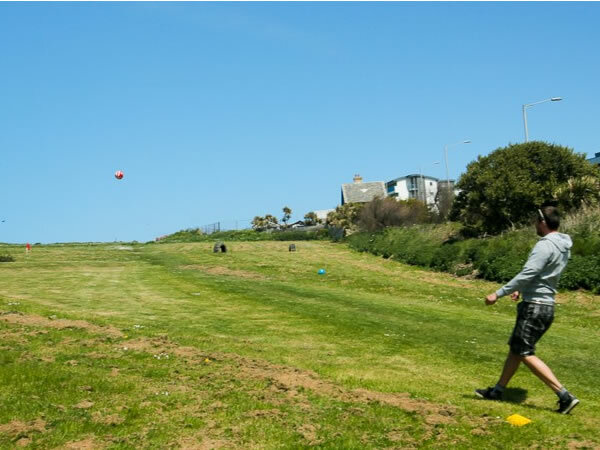 This is a Footgolf course with a twist: 9 holes with obstacles themed to its beach setting. You’ll need to navigate crab pots, fishing boats, a tractor tyre and even a wall. Situated in Porth Island, Newquay, between Porth Beach and Watergate Bay, this course is only open in summer, but that lends itself to its seaside feel and atmosphere. A very friendly and informal course, you can even turn up straight from the beach in flip flops if your feet are hardy enough! There are wonderful sea views, and when you’ve completed the round you can choose to either have a go at their fun 9-hole crazy golf course, or head to their Snack Bar where you can find a wealth of Cornish treats including ice creams, pasties and cream teas. The only word of warning is that you must use their footballs, which require a £4 deposit, you’re not permitted to bring your own ball here. There is plenty of parking 2 minutes away, and public toilets are available nearby at the beach. This course is closed in the winter months. This course is a 9 hole course. All 9 holes are different lengths and shapes for a bit of variety and all have a good range of obstacles such as kicking it through posts, around posts, through a tyre, over a boat, over lobster pots and into goals. The pars seem good for the difficulty of the holes. Only seems to be open from easter until end of summer. There was a locals discount (with proof of address). Lovely views across porth beach and newquay on a nice day. No parking on site but limited roadside parking available a short walk up the hill or pay and display just down the road.